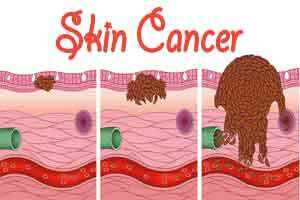 New findings from an international research team led by University of North Carolina Lineberger Comprehensive Cancer Center scientists may improve detection of skin cancer that lacks any brown or black color. The researchers published a study in the journal JAMA Dermatology that outlines key features linked to amelanotic melanoma, a form of skin cancer that lacks the brown or black color that stems from the pigment melanin. Researchers believe their findings could improve detection of this type of melanoma, which is more likely to be diagnosed at advanced stages. About 2 to 8 percent of melanomas are amelanotic, studies have shown. These skin cancers are seen predominately in white patients, and develop as pink growths. A 2014 study led by UNC Lineberger researchers found that amelanotic melanoma was typically diagnosed at more advanced stages than pigmented melanoma, and that the risk of death was higher. Amelanotic melanoma can evade detection because it falls outside a commonly used diagnostic criteria. The “ABCDE” guidelines flag lesions that are asymmetric, have irregular borders and color, a diameter of greater than 6 millimeters in size, and that have “evolved,” or changed, as warning signs of cancer. The researchers analyzed the characteristics of 178 patients with this disease drawn from a study of 2,995 melanoma patients enrolled in The Genes, Environment, and Melanoma study. The international study enrolled patients from 1998 to 2004. They found that people who lacked moles on their backs, who had many freckles, and “sun-sensitive” features including red hair, light-colored eyes and an inability to tan had higher odds of developing amelanotic melanoma. In addition, people who previously had this disease were at higher risk, as were people who had variants of the MC1R gene that are linked to red hair.